Probably because we hate failure even more. As a result, our love affair with safety is big business: We aim to eliminate hazard of any kind from American life. A generation ago, we lived in a dangerous world: Infant car seats were blankets in the backseat. Killer bio-chemicals lurked in every can and bottle. Grade school children walked to and from school without an adult — imagine! People even smoked during pregnancy, for heaven’s sake! Seems like we’ve spent the better part of five decades attempting to eradicate risk and uncertainty in every part of our society. And there’s a lot of good news: Most of us experience a longer, higher quality of life as a result. Why do we avoid what makes us healthy? This happens when we have not addressed the core mindset behind the behavior. Fear of failure is born out of a short-term fear, that tolerating mistakes (or even more radical, celebrating them!) will slow us down and cost too much. So how much does failure actually cost a business? More importantly, where do failures lead us? Some important lessons from history hint at the answer: Fail faster and iterate. 1. New Coke, Coca-Cola (1985) was a change consumers never asked for. The public backlash was a disaster. When the company went back to the original formula, Peter Jennings broke into daytime TV hit show “General Hospital” to announce the news. US Senator David Pryor called it “a meaningful moment in US history” on the floor of the Senate. Cost: $4 million for taste-testing rollout. Fast-Forward: Coca Cola Freestyle offers 8 flavors of the original Coke in “Have It My Way” beverage dispensing, currently gaining popularity at fast food restaurants and movie theaters. 2. The Edsel, Ford (1957). Renowned as one of Ford’s greatest flops, this ride had it all: weird body styling, unreliable controls (including a push-button ignition), and an ambitious run-up of ads that may have inflated customer expectations. Cost of flop: Est. $250 Million. Fast-Forward: PT Cruiser Convertible. To extend the fad of the original retro model, Chrysler created a four-passenger convertible version. 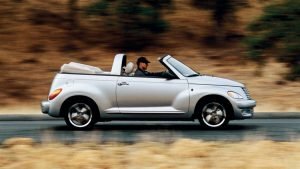 The worst part about the convertible model was the support bar across the car that destroyed the coolest part of the car’s retro feel and made it look ridiculous. Each car had to be shipped out to a supplier company to have the top cut off and the new convertible top installed. Sometimes dumb, stays dumb. 3. Gerber Singles (1974) – Gerber decided to release baby-food versions of adult foods with flavors including Beef Burgundy and Mediterranean Vegetables. This might have been too much convenience however! Adult consumers voted “No” to the idea of convenience in the form of scooping unsavory mush into their faces from a baby food jar. Yoga pants are supposed to be form-fitting but Lululemon made a few versions that became translucent when wearers bent over. Inflammatory remarks about it from founder Chip Wilson made for a public relations fiasco. Wilson later issued an apology and the company issued a recall. Fast-Forward: The Naked Dress. Debuted by Beyonce, Jennifer Lopez, Kim Kardashian on the Red Carpet at the Met Gala, March 2016. Strategic lace ensures the “essentials” are covered but not much else. Much as we avoid it, failure is inevitable if you are innovating. Most failures are not about the idea. They miss one essential ingredient: Does the customer WANT this? Your customer may be internal (employees) or external (users, partners.) but in either case, road-testing is a key ingredient to hitting a home run. BEFORE we go to market, have we tested this with people who will actually use it (and their stakeholders), and incorporated their feedback? Companies with exceptional cultures get it. They work diligently to eliminate their BIGGEST RISK: The relentless mindset that seeks to eliminate risk from the world. It may not be proven yet, but evidence is growing that the greatest innovation of our time is not a new product or service, but a new mindset: Failure is good. Ask 10 or 100 employees in your organization: How safe it is to speak up? How effective are your meetings at driving creative thought and action? How well do leaders communicate priorities in a way that stimulates excitement about creating something new? Are mistakes in your company a career limiting move or a welcome learning experience? What happens when someone fails badly? What happens when someone floats a dumb idea? Innovation and failure is a recipe the modern world needs. 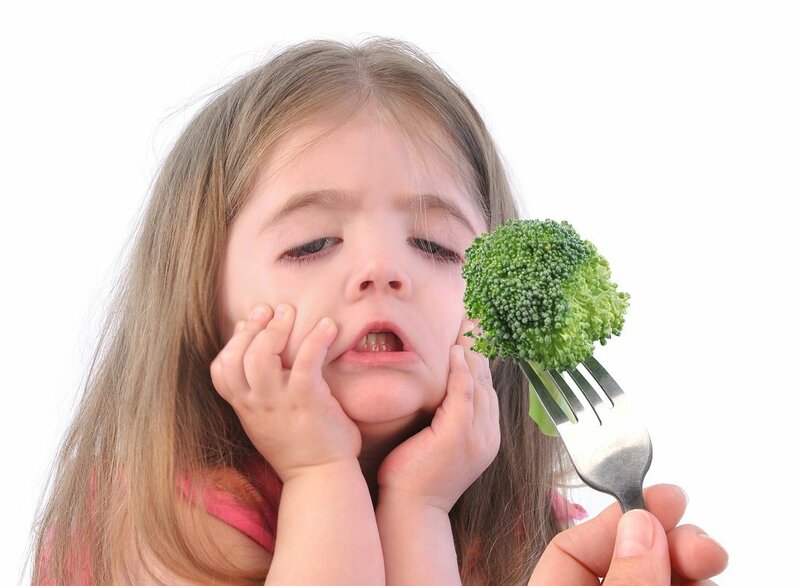 Assuming you bake in the right ingredients that produce smart risk, you can pass off your broccoli (failure) to ensure people are energized and inspired to bring the creativity you need at work. Ensure leaders are promoted and rewarded for experimentation and results. Clear guardrails and boundaries are essential: What is the real goal of innovation? What are the limits of experimentation? Publish examples of company creativity in your newsletter or blog. Google gave the Founders’ Award to the creators of Google Plus, one of their biggest public failures. Track the ratio of “intelligent failures” to “wild successes” so people can see how experimentation ultimately produces big wins. Want greatness from your people? Take a risk and make it good to be wrong.